YouTube announced that it has acquired the highly-anticipated music documentary G FUNK, which recounts the untold story of hip-hop’s most iconic subgenre through its pioneer, Warren G. G FUNK explores the sound’s origination and lasting impact on music and culture. The film also chronicles Warren G’s journey with Snoop Dogg and Nate Dogg during the early 90s, as they rose to international fame while he returned to Long Beach, California without a record deal. The G FUNK documentary will premiere exclusively on Youtube Premium on July 11, 2018. G FUNK features never-before-seen footage and interviews with Warren G, Snoop Dogg, Chuck D, Ice Cube, Ice T, Too Short, The D.O.C., Wiz Khalifa and others who detail Warren G’s story and the impact of g-funk on pop culture. The film documents some of the biggest moments in the history of hip hop, including the first time a hip-hop album debuted at #1 on the pop charts and the genre became a staple of mainstream American culture. […] In his full-length directorial debut, 24-year-old director Karam Gill brings G FUNK to life with a unique approach to this creative artform. Matt Carpenter serves as an executive producer alongside producers Gary Ousdahl, Rafael Chavez, Bob Ruggeri and Warren G. This film is produced by G Funk Productions, Chavez Bros. Productions, and Omega Point Films. 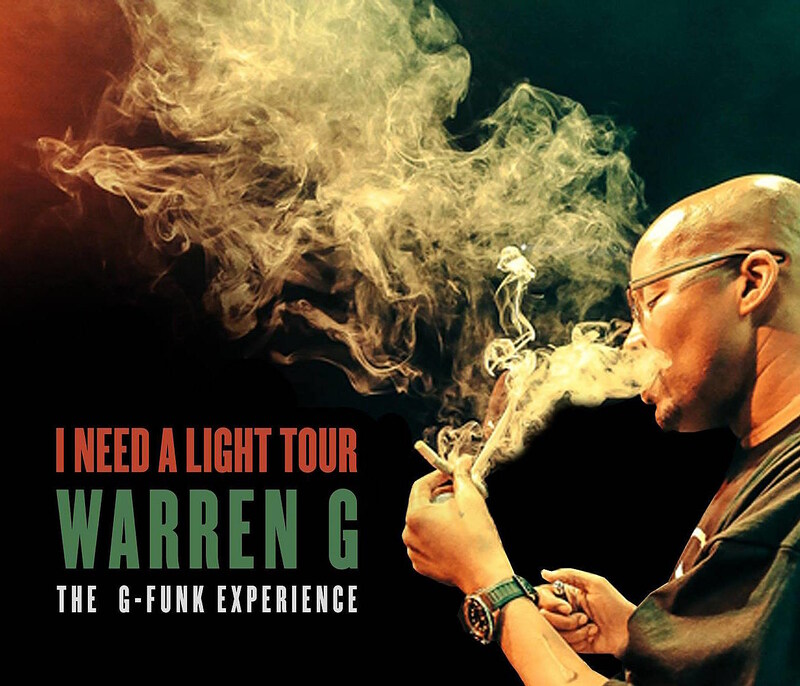 Warren G, fresh off playing this past weekend’s Firefly Festival in Delaware, also expanded his ongoing “I Need A Light Tour.” He’s got a newly-added NYC show happening August 16 at Brooklyn Bowl. Tickets for that show go on sale Friday (6/22) at 10 AM. All dates are listed below.